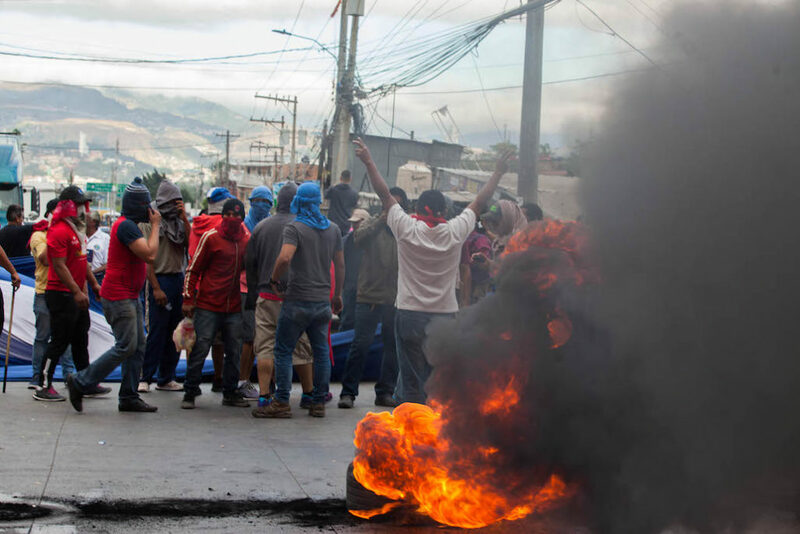 Mass unrest has bubbled over in Honduras as the elections commission announced incumbent President Juan Orlando Hernández the winner in a process plagued by chronic delays, suspicious hours-long blackouts, and a statistically unlikely reversal of results. Three weeks after election day, the opposition continues to claim that fraud is evident, and the Organization of American States has called for new elections given the doubts and irregularities swirling around the results. But some also say an unequal system rigged the process even before voters even cast their ballots. In this light, the elections debacle is just the face of a failed democracy in urgent need of transformation to close a long crisis brought on by the 2009 U.S.-backed coup. 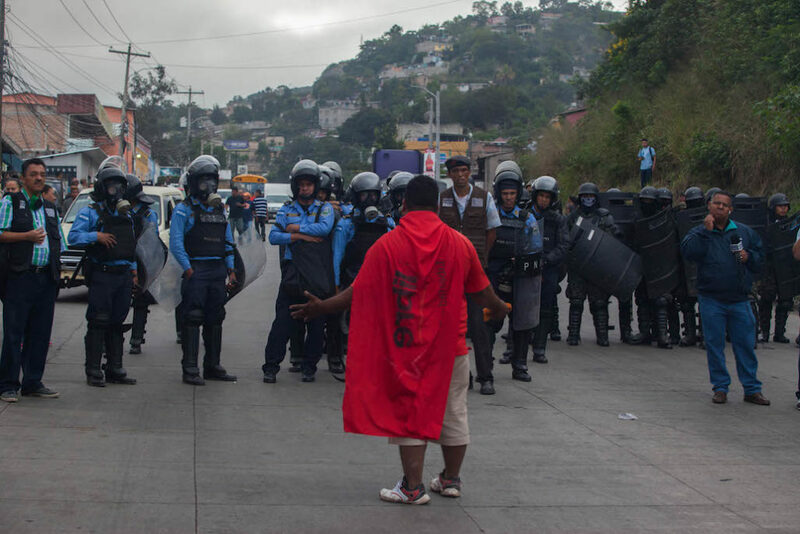 A report released in August by the Social Forum for External Debt of Honduras (FOSDEH) argued in response to budget modifications that the government budget appeared to be designed to boost Hernández’s re-election bid. The report concluded that the budget signaled an attempt to double up on the use of public funds, creating both the image of an “efficient government” and “good presidential candidate” on the citizens’ bill. “It seems that political interest and the quest for continuing rule prevail,” it said. One double use of state resources is in government advertising, which FOSDEH characterized as a “campaign measure.” This advertising is notoriously difficult to track as a result of a 2013 communications law that allows the communications sector to pay debts owed to the state through advertising. 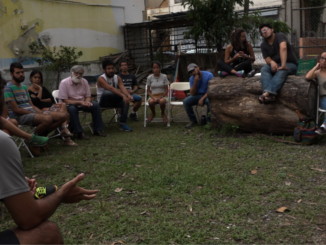 According to Edy Tábora, director of the Honduran freedom of expression organization C-Libre, the heavy presence of government advertising has exacerbated unequal media coverage. “It has been very clear that the media that have presented the government discourse have been the media that receive government advertising,” he told Upside Down World, adding that there is a lack of regulation on state advertising. The European Union election observation mission noted in its preliminary report that media shows “significant disparities” in coverage of candidates and visibility achieved through paid advertising, both favoring incumbent President Juan Orlando Hernández. Gilda Rivera Sierra of the Honduran Center for Women’s Rights argued that heading into the election, Hondurans faced a “very unfair and unequal competition” from the outset. “The entire electoral process is marked by many inequalities,” she told Upside Down World. She echoed concerns of the FOSDEH report, claiming that Hernández’s presidential bid did not differentiate state resource from the National Party and put public funds toward his campaign. For example, critics accuse the government of doling out food rations from the state program known as bolsa solidaria, intended for recipients living in extreme poverty, in exchange for support for the National Party. The National Party has come under harsher fire over alleged diversion of public resources into election campaigns. One of the greatest blows to Hernández’s scandal-ridden government was served in 2015 when an massive corruption case came to light. The scheme implicated the National Party in the theft of $300 million from the crumbling public health system and funnelling some $90 million into Hernández’s 2013 campaign against former First Lady Xiomara Castro. Rivera Sierra also pointed to Hernández’s “illegal and illegitimate” re-election bid as a prime example of his power over “co-opted” institutions. Despite a constitutional ban on presidential re-election, Hernández got the green light to seek a second term in office through a contested 2015 Supreme Court decision. The ruling came after Hernández, as head of Congress, led a “technical coup” in 2012 against the constitutional branch of the Supreme Court. The move illegally deposed four judges to swap in a handpicked set of judges friendly to the National Party. Control over the Supreme Court would prove crucial in pushing forward contested reforms and paving the way for him to clinch power beyond the single-term limit. According to the FOSDEH report, the largest budget line increase amid dozens of modifications to the 2017 budget was for the Supreme Electoral Tribunal (TSE). The body saw its initial elections-year budget hiked by 297 percent, putting it on track to surpass 2013 expenses. The report criticized poor planning, “excessive” spending on primary elections, and an “onerous” elections process for a country with low GDP per capita. “It is irresponsible that resources are squandered in the country’s socio-economic conditions, given that these (resources) could be used in sectors that directly contribute to development and social well-being,” argued the FOSDEH report regarding the TSE’s budget. 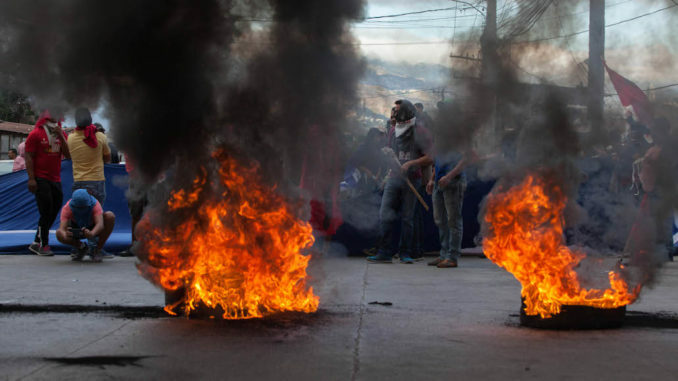 The TSE, and more specifically its president, David Matamoros Batson, has been the most embattled entity in Honduras’s questioned presidential vote. Matamoros is an active member of the National Party and previously served as head of the party and as a representative in Congress. Critics also accuse Matamoros of conflict of interest over his daughter’s current post as deputy foreign minister in Hernández’s government. The Opposition Alliance has filed request for the public prosecutor’s office to investigate Matamoros for abuse of authority, falsification of documents, and other charges. But controversy swirling around the TSE dates back much further. The commission is politicized by design, as TSE magistrates explicitly represent political parties. However, magistrates representing new political forces that emerged as the political landscape shifted in the years following the 2009 coup were never added to the tribunal. This meant that despite being a major political player in the 2013 election that broke the bipartisan consensus, the left-wing Libre Party was systematically blocked from the TSE. As a result, the Opposition Alliance Against the Dictatorship, formed earlier this year between Salvador Nasralla, Libre, and the smaller PINU party to challenge Hernández’s re-election bid, also does not have a magistrate in the TSE. The unequal representation compromises what is intended to be a balance of political powers on the commission, opening the door to manipulations, critics argue. Although the opposition pushed for electoral reform ahead of the 2017 campaign, the proposed reforms did not get past Congress. Proposals included introducing a second round election and adding representatives of other political parties to the TSE as well as the national civil registry, which is similarly politicized. The reforms would have democratized, but not depoliticized the institutions. Cristina Alvarado of the “Visitación Padilla” Movement of Women for Peace argued that depoliticizing the TSE and ensuring “that it doesn’t have links to any political party” is key to strengthening democracy. Alvarado added that electoral reforms must also include meaningful gender parity laws after weak provisions contributed to women’s representation in Congress falling in the 2017 vote. Following the 2013 election, the European Union elections observation mission recommended Honduras reform its electoral law, including depoliticizing the TSE, among other other changes. In its preliminary 2017 report, the EU mission reiterated the call and stated that mainy of the legislative weaknesses it observed in 2013 persisted. The EU mission also reiterated a recommendation to staff voting centers with citizens not affiliated with political parties. Under current electoral law, the polling stations are staffed by political party activists, which fuels a credentials trade for representation at the polls. The National Party is accused of buying credentials from a number of small “suitcase” parties to increase its presence during voting and counting. The practice is one of the fraud strategies mentioned on a tape of an alleged election rigging training session for the National Party reported by the Economist. While Congress failed to pass electoral reform, the TSE approved a change, backed by the National Party, allowing voters to mark their ballots with a straight line to vote for a party’s full slate of congressional candidates instead of checking the box separately for each candidate. The move sparked criticism from the Liberal Party, Libre, PINU, and other parties and did not have consensus support within the TSE. Hernández and his National Party visibly promoted the straight line-style voting in their campaign. Following the military coup, the National Party consolidated power. With the help of millions of dollars in U.S. security aid, the post-coup governments of Presidents Porfirio Lobo and Juan Orlando Hernández ramped up militarization in the name of fighting drugs and crime. 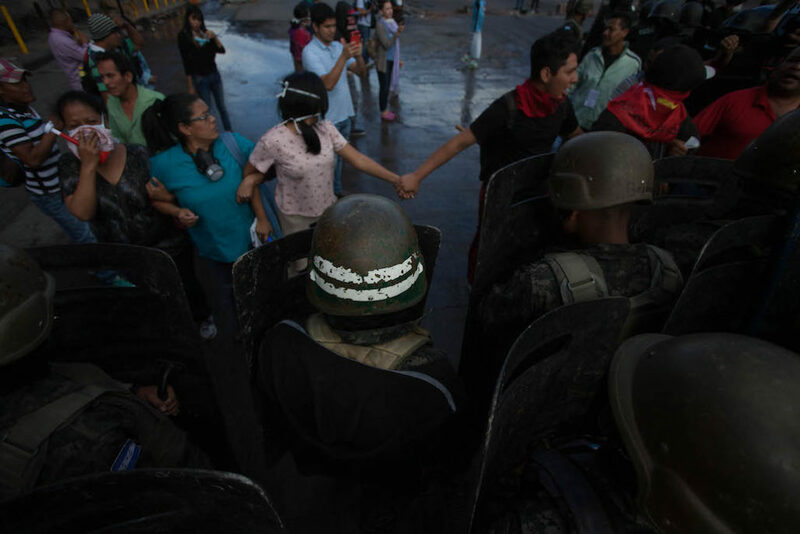 But the expanded power of the army and militarized police forces has played a role in quelling dissent to help roll out extractive projects and other controversial policies under a strong privatization agenda. The murder of internationally-renowned activist Berta Cáceres has been the most visible symbol of the human cost of Honduras’s aggressive corporate onslaught paired with impunity for rights abuses. 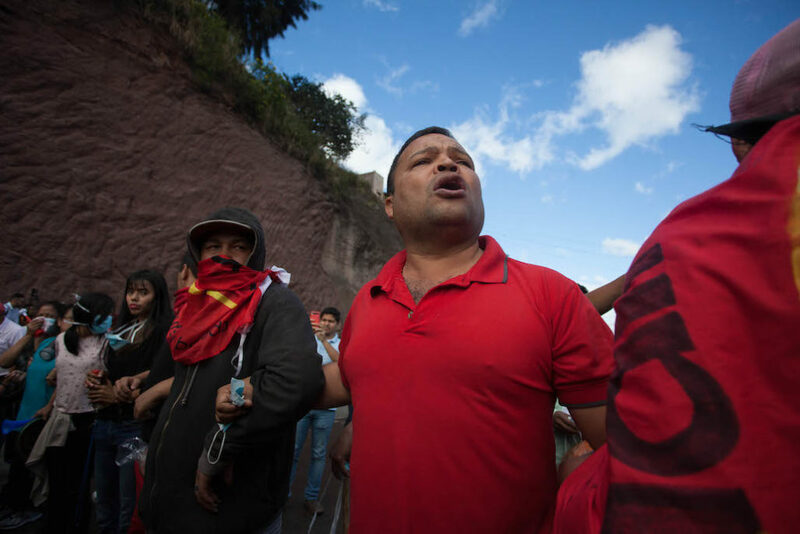 Almendares, a member of various social organizations including a national coalition of human rights defenders, stressed that the entire election has been colored by Honduras’s vast inequality and social exclusion of vulnerable groups including Indigenous peoples, campesinos, and women. According to World Bank data, Honduras is the most unequal country in Latin America. 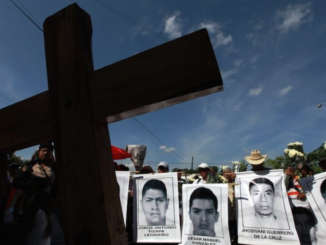 As the human rights crisis deepens with at least 22 people killed in post-election political turmoil, according to the Honduran human rights organization COFADEH, many fear that Hernández will attempt to impose by force the continued power he couldn’t win at the ballot box. Despite the official announcement of results, the elections controversy and popular uprising against it is far from over. 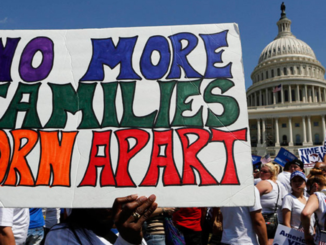 “What’s at stake is a dictatorial, anti-democratic regime consolidating,” Gustavo Irías, director of the Honduran Center for the Study of Democracy, told Upside Down World, “or the people in the streets recuperating democracy that was lost in 2009. Copyright, Upside Down World. May not be reprinted without permission.